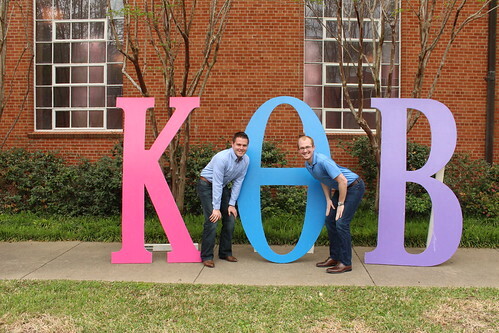 When I was in college at Texas A&M, I was part of a Catholic sorority called Kappa Theta Beta (KTB). KTB was (and continues to be) a huge blessing to me. 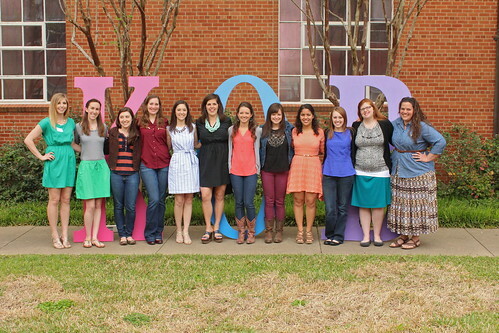 Because of KTB, my faith was greatly strengthened during my college years, and I am so, so grateful for that. 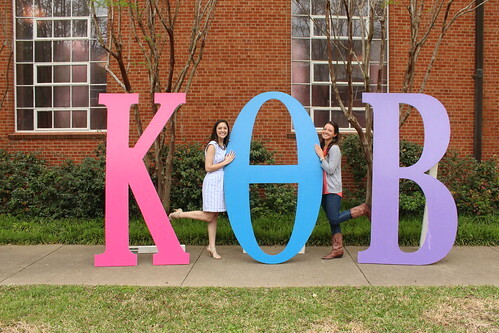 My best friends today are girls I met through Kappa Theta Beta, and my friendship with them means the world to me. They're the most supportive, prayerful women, and I thank God all the time for putting them in my life. 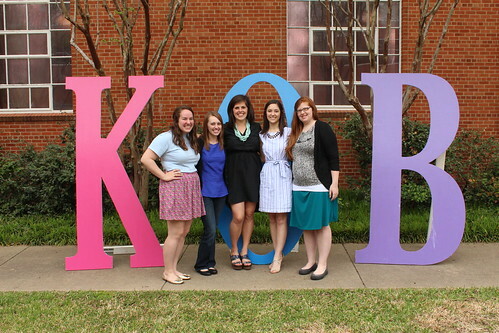 KTB celebrated its tenth anniversary this year, so we got to go back to College Station for a reunion. It was so amazing to spend time with old friends (with boyfriends and husbands and babies tagging along! 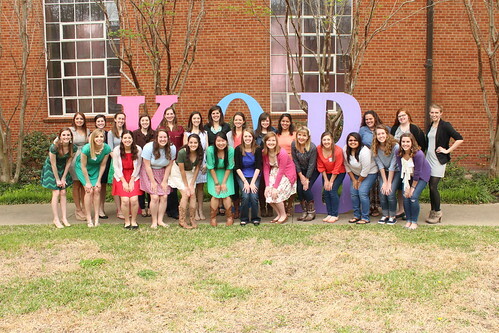 ), celebrate the beautiful sisterhood of KTB, and see how much the sorority has grown and developed since I graduated! It was really special to be back at St. Mary's. 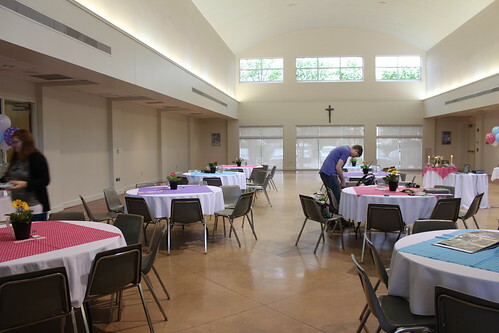 We often go to Mass there when we're in town for football games, but it had been a really long time since I set foot in the Activity Center (where we had our weekly meetings). This is five of KTB's former presidents. It was so fun to talk with these girls about what was going on in KTB during each of our years as president and take a walk down memory lane. My sweet friend Pilar is in med school, and between the craziness of med school and the craziness of law school, we haven't been able to see each other nearly as much as we would like during the past few years! We were absolutely thrilled to finally be in the same place at the same time for more than just a super-quick lunch! 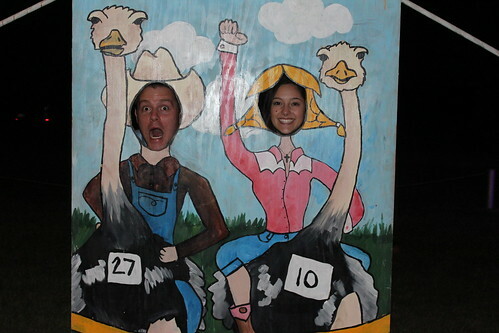 And, of course, Jeff and Pilar's fiance were thrilled as well. It did my heart so much good to spend a weekend celebrating something so near and dear to me. Jeff and I spent the entire drive home trying to figure out how we could get jobs in College Station and be there all the time. Probably not going to happen, but we sure do love it there! I love reuniting with my sorority sisters. Looks like a great weekend!